Pauper, the commons-only constructed format, have steadily grown in popularity over the last several years. With many established, highly competitive decks and an unbeatably low-budget price for entry, Pauper’s growing popularity should come as no surprise. Fans of the Pauper format are always eager to see what new commons Wizards of the Coast adds with each set release. This is particularly true for reprint sets, like Iconic Masters, which was recently spoiled via the HASCON prerelease. 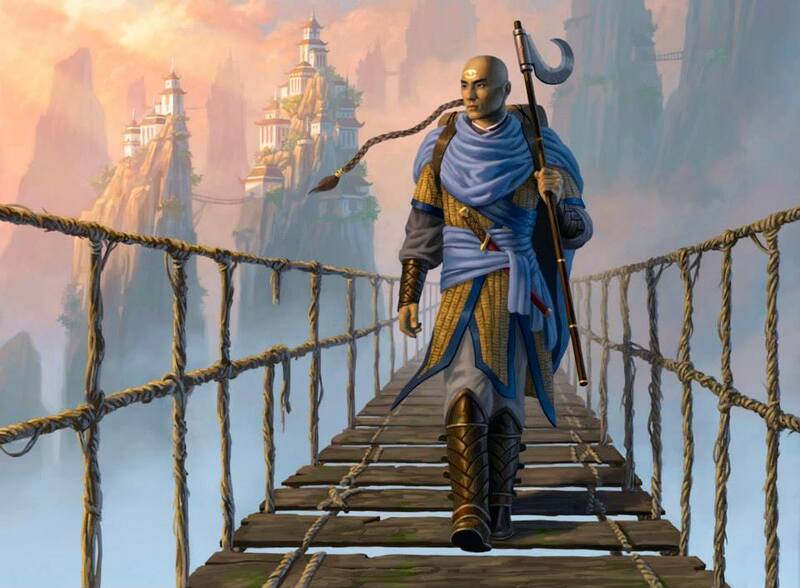 As the power level of Magic: the Gathering ebbs and flows, and based on the needs of a particular limited environment, reprints will often appear a different rarities. With the release of Iconic Masters, Pauper is receiving 23 new cards, previously printed at higher rarities. Despite being a format of commons only, Pauper is still a powerful format with access to the majority of cards ever printed. For that reason, there is a high bar for playability. With that, let’s look at the cards in Iconic Masters that will make their way into Pauper when the set releases November 17th, 2017. UPDATED: 9/11/2017 10:04 AM CST | Minor corrections to match official WotC spoiler. 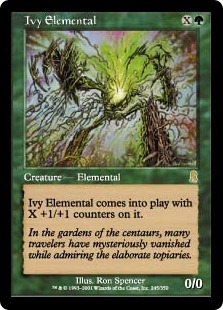 The biggest downshift to common in Iconic Masters is Ivy Elemental, released twice before at rare in Odyssey and Planechase. Ivy Elemental hits the board with X +1/+1 counters, where X is the amount of mana spent in addition to its base mana cost of one green. It’s not often we see rare cards downshifted to common, and it will be interesting to see where the Elemental might find a home in Pauper. 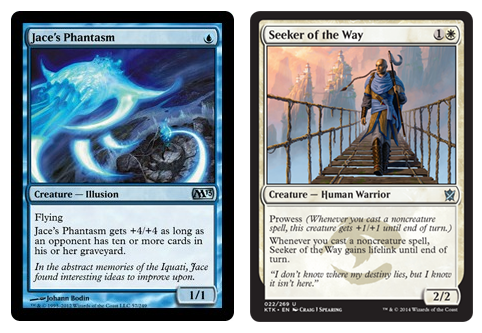 Two of the cards made newly-common by Iconic Masters that may be most exciting to Pauper players are Jace’s Phantasm and Seeker of the Way. Both are solid even at uncommon rarity, which means they certainly have potential at common. Jace’s Phantasm threatens to come down as a 5/5 flyer for a single blue mana. It does require your opponent to have ten or more cards in their graveyard to do so, but that restriction is surmountable. Seeker of the Way is not only a white bear with Prowess, but one that threatens to gain lifelink whenever Prowess is triggered. Bolt your opponent’s blocker and create a 6 point life swing seems like it could be great. One thing Pauper players are always on the lookout for are common-level abilities that serve a similar function as another effect found on rare cards that see play in other formats. 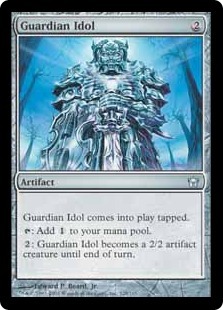 While it’s definitely no Mutavault, Guardian Idol could see play for some similar reasons. At two mana, the Idol is a fine enough mana rock, and being able to pump mana into it late game to attack as a 2/2 artifact creature, it may find a home in some slower control builds. Only time will tell if Guardian Idol or any of these new commons will see play in Pauper, but we will find out once Iconic Masters releases mid-November. What do you think? Do any of these newly-downshifted commons interest you? Or is Iconic Masters a swing and a miss for Pauper?